Quinoa (pronounced keen-wuh) is one of the healthiest foods on the planet, and packed with vitamins, minerals and protein. It’s actually a seed not a grain, but it’s cooked like a grain. 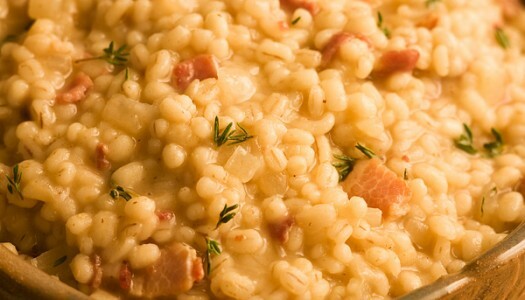 The rich nutty taste is perfect in a pilaf, but it’s just as good stirred into any salad. Because of its flavour, ease of cooking and high nutritional value, quinoa is one of the most common foods on my table. Pour the olive oil into a small saucepan with a tight-fitting lid over medium-high heat. Add the onion and garlic and sauté for a few minutes until they just begin to turn golden brown. Add the quinoa and continue cooking for a few minutes longer, stirring constantly, until the quinoa is golden brown and toasted, about 5 minutes. This will add lots of aromatic flavour to the dish. Pour in the chicken broth or water, season with salt and pepper and bring to a simmer. Cover and cook until the liquid has been absorbed and the quinoa has unfurled and is tender, about 15 minutes. Let stand for 5 minutes or so before serving. Quinoa seeds grow with a naturally bitter coating that is easily rinsed off. In fact, most of it has been washed off before it gets to you anyway, but it’s always a good idea to thoroughly rinse it once again. Pour the quinoa into a fine mesh strainer and run lots of cold water over it. 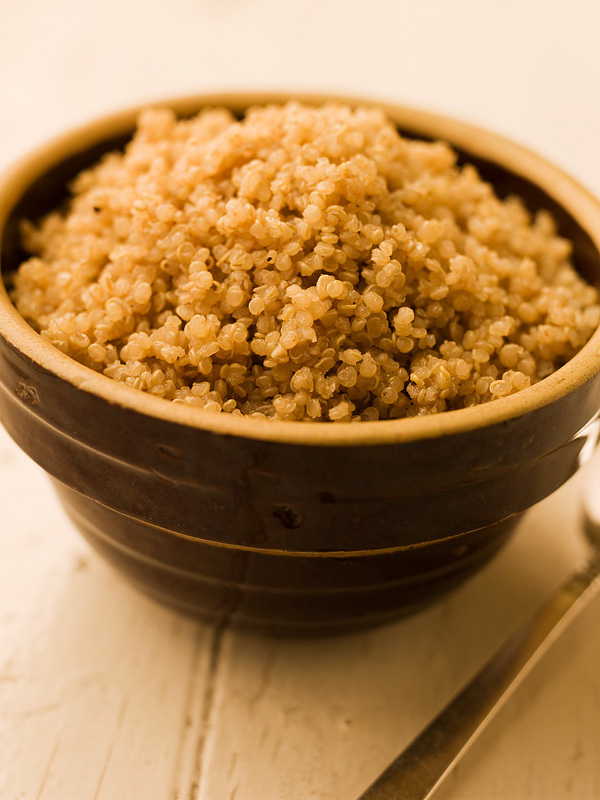 Because of its aromatic nutty flavour, quinoa is especially good served with other nuts. We often sprinkle toasted almonds on top of this dish. We’re all trying to eat more veggies and convince those around us to do the same. They’re good for you but they can also be fast, flexible and delicious! 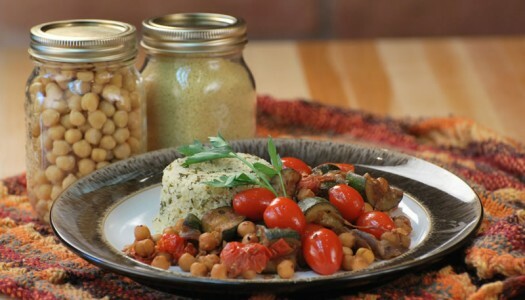 Here’s a speedy veggie dish that will have them coming back for more!